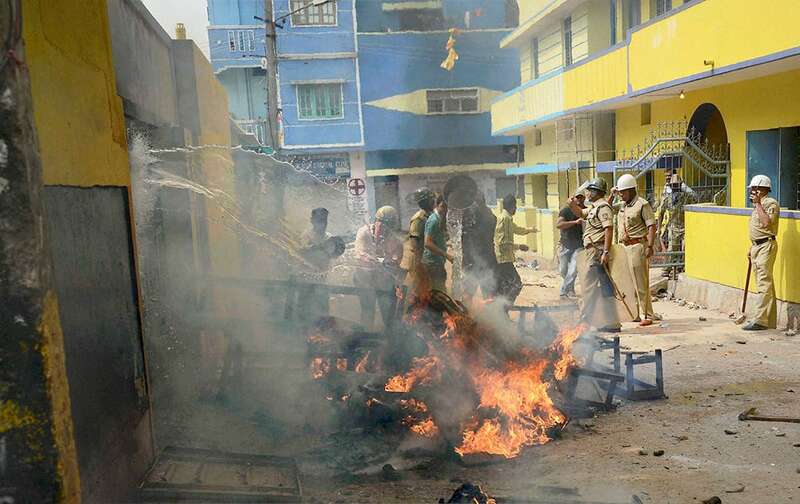 Police trying to douse the burnt vehicles after agitating parents and locals pelted stones and vandalized the school where a teacher allegedly molested an 8-year old girl in Bengaluru. 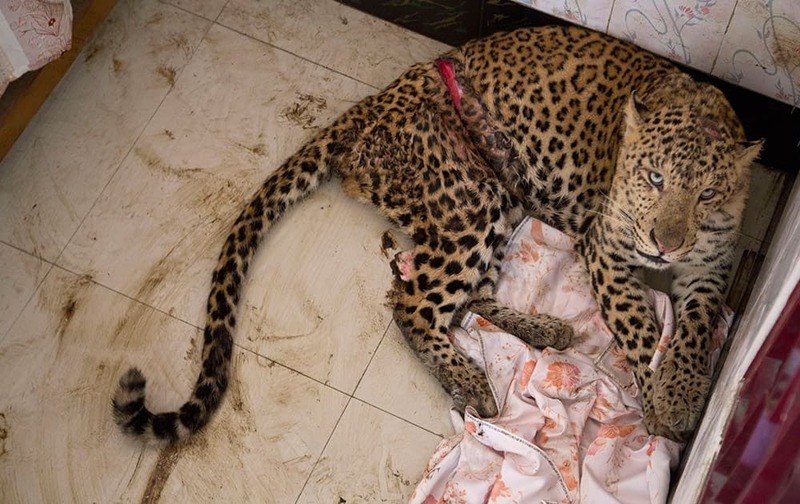 An injured male leopard takes shelter in the bedroom of a building in the center of the city in Guwahati. 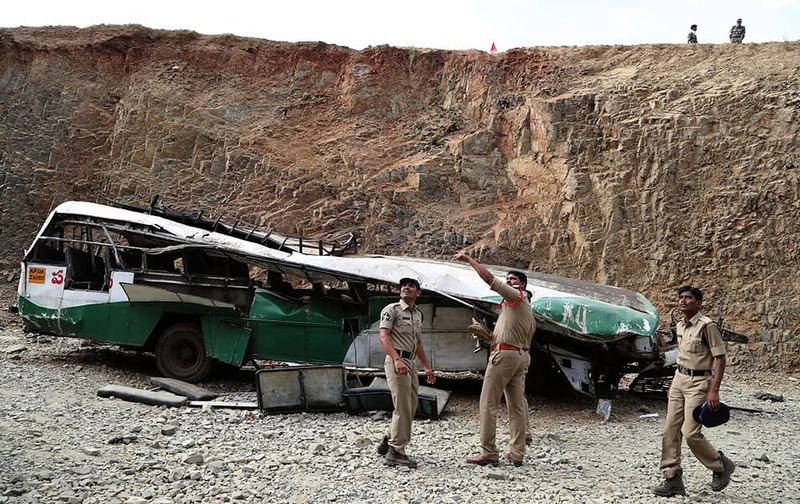 Police officers point at people standing above, as they inspect the wreckage of a bus that fell into a gorge in Penukonda, about 145 kilometers north of Bangalore. The passenger bus veered off a road in southeastern India and fell into the gorge on Wednesday, killing at least 16 people, most of them college and middle school students, police said. 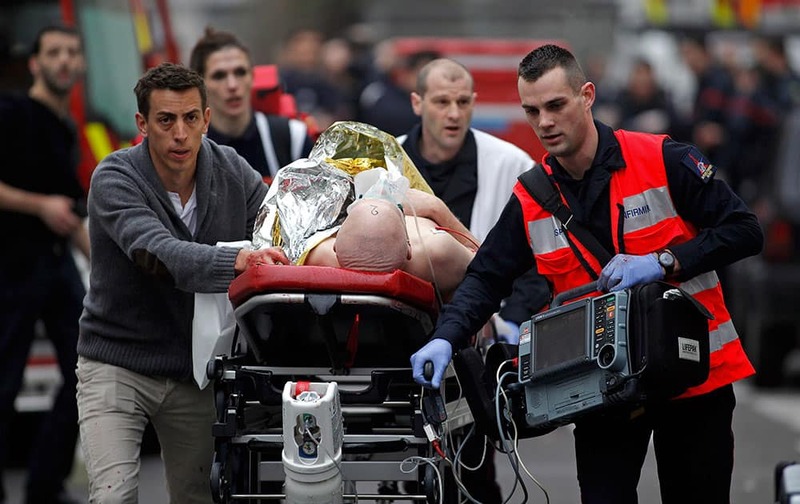 More than 50 other people were injured in the accident. 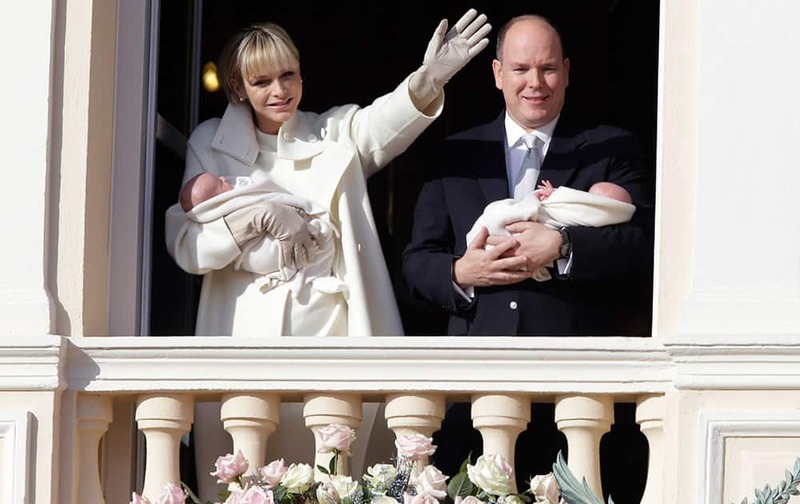 Princess Charlene and Prince Albert appear on a palace balcony, each holding a newborn baby swaddled in white in Monaco. The hereditary heir Prince Jacques and his older sister — by 2 minutes — Gabriella were greeted by a small sea of red-and-white flags and banners. 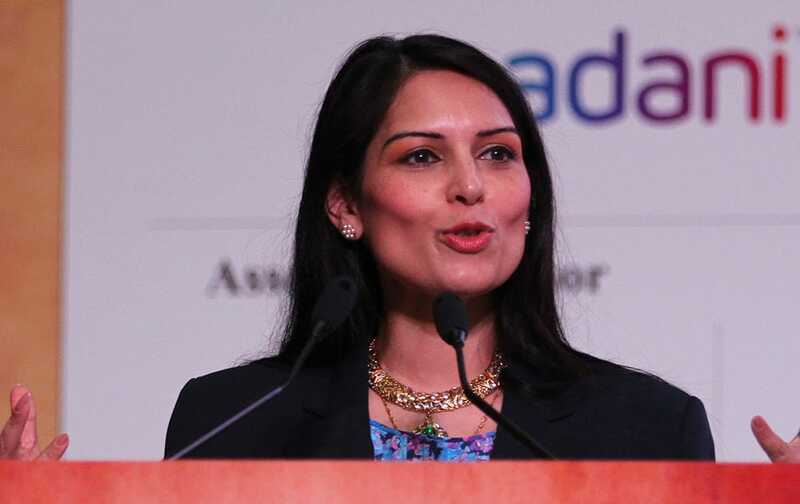 UK India Diaspora Champion Priti Patel speaks during the inauguration of Youth Pravasi Bharatiya Divas in Gandhinagar. 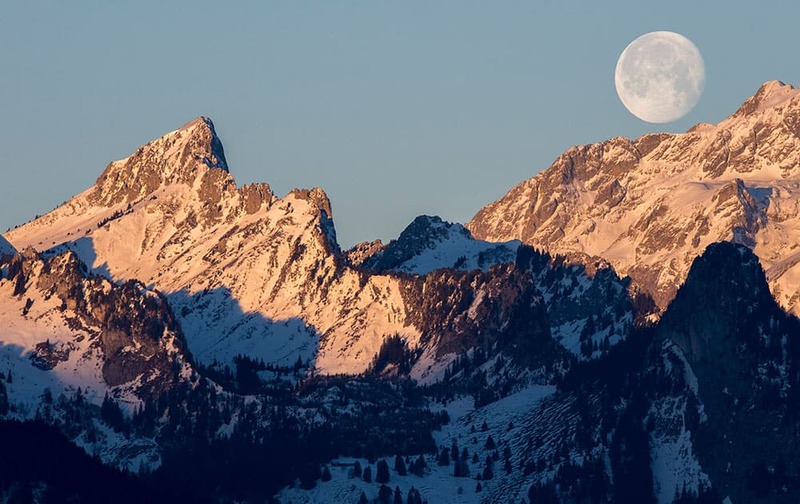 The waning moon is setting over the mountain 'Les Cornettes de Bise' located at the border of the Haute-Savoie and the Valais canton of Switzerland in the Chablais Alps, photographed from Glutieres, Switzerland. Ana Ivanovic of Serbia plays a shot in her match against Jarmila Gajdosova of Australia during the Brisbane International tennis tournament held in Brisbane, Australia. 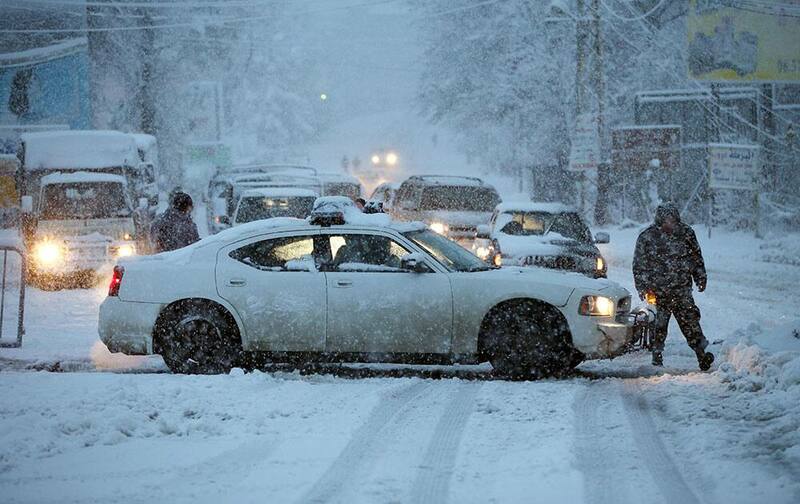 A Lebanese police car blocks a main road that links to Beirut, after the mountain roads were blocked by the snow, in Chtoura town, in the Bekaa valley, east Lebanon. 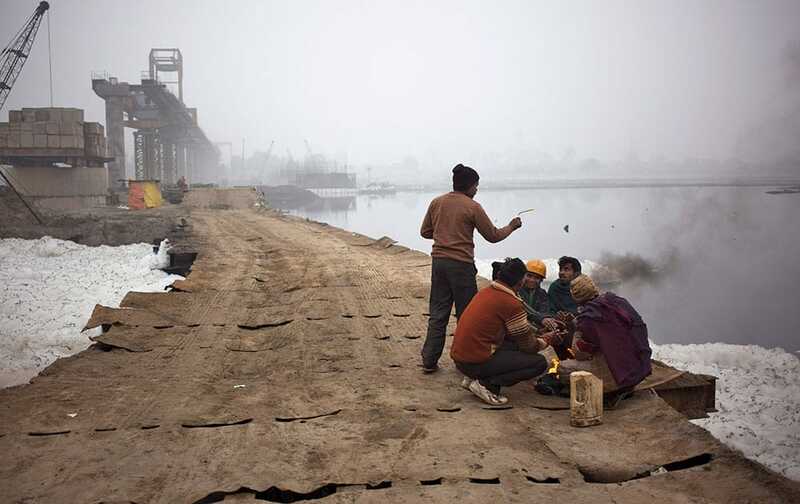 Construction workers sit by a fire to keep themselves warm on the banks of the Yamuna River on a foggy morning in New Delhi, India. 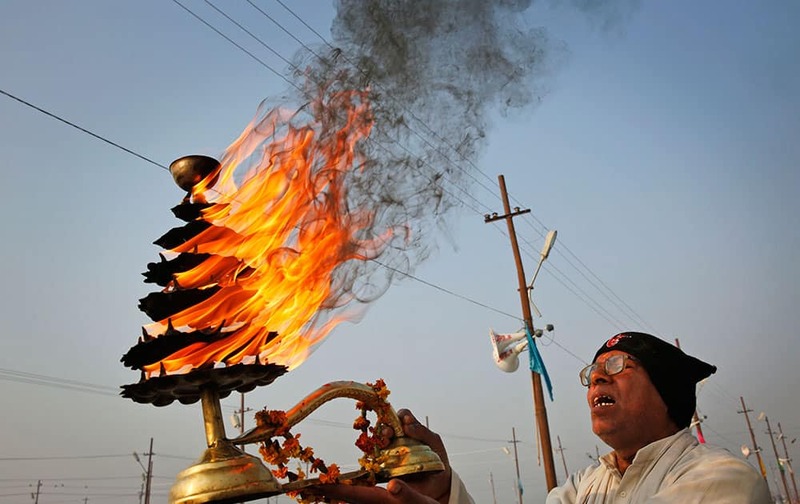 An Indian Hindu priest rotates an oil lamp as he performs rituals at "Sangam", the confluence of holy rivers of Ganges, Yamuna and the mythical Saraswati, during the annual traditional fair of Magh Mela in Allahabad, in the northern Indian state of Uttar Pradesh, India. Kaley Cuoco arrives at the LA Premiere Of The Wedding Ringer at the TLC Chinese Theatre, in Los Angeles. 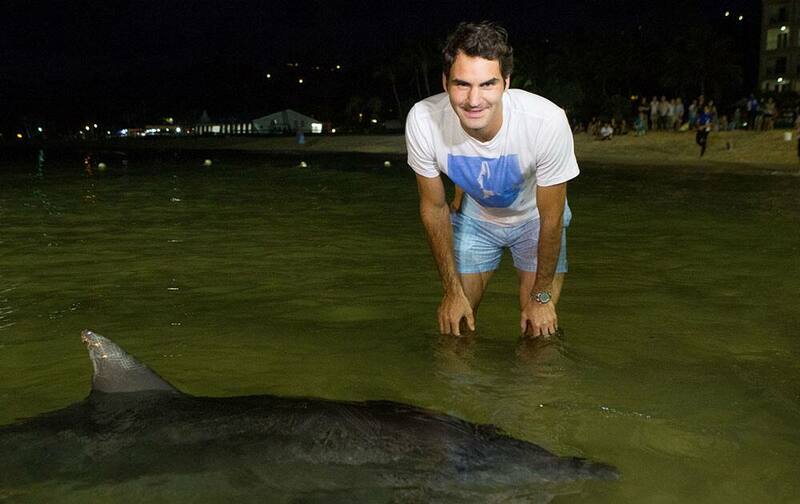 This photo provided by Tennis Photo Network, Roger Federer of Switzerland poses with a dolphin at the Tangalooma Resort on Moreton Island during the Brisbane International tennis tournament in in Brisbane, Australia. 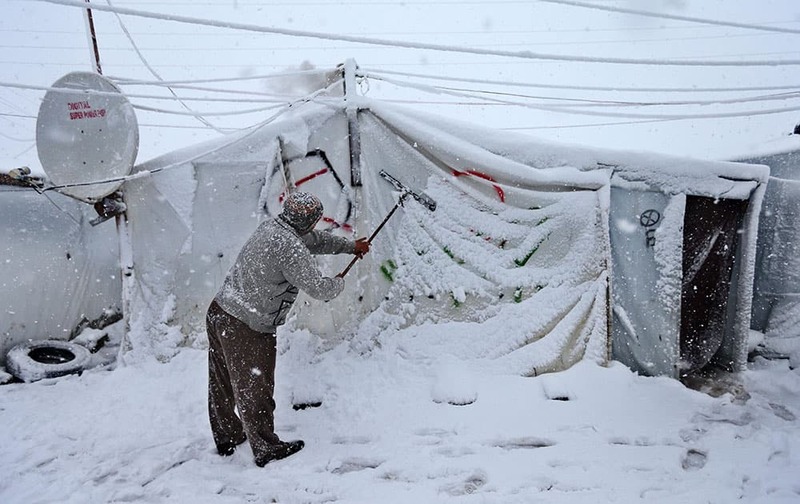 A Syrian man removes the snow from his tent at a refugee camp in Deir Zannoun village, in the Bekaa valley, east Lebanon. 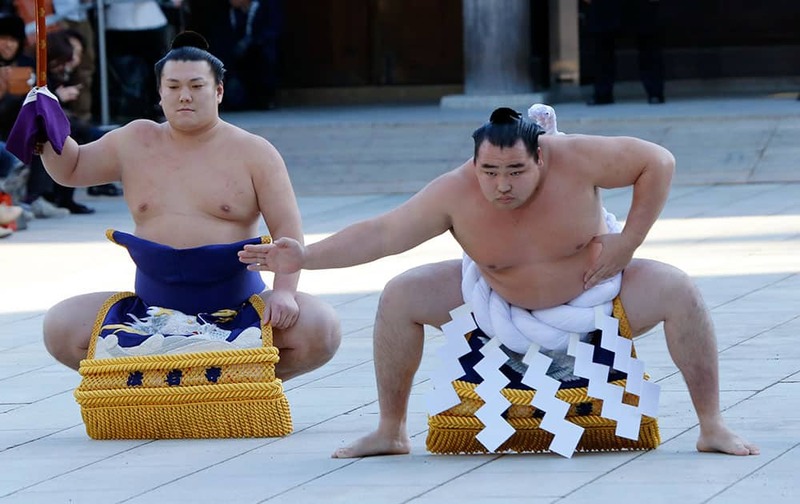 Sumo grand champion Kakuryu, of Mongolia performs his ring entry forms to dedicate to the Meiji Shrine in Tokyo. 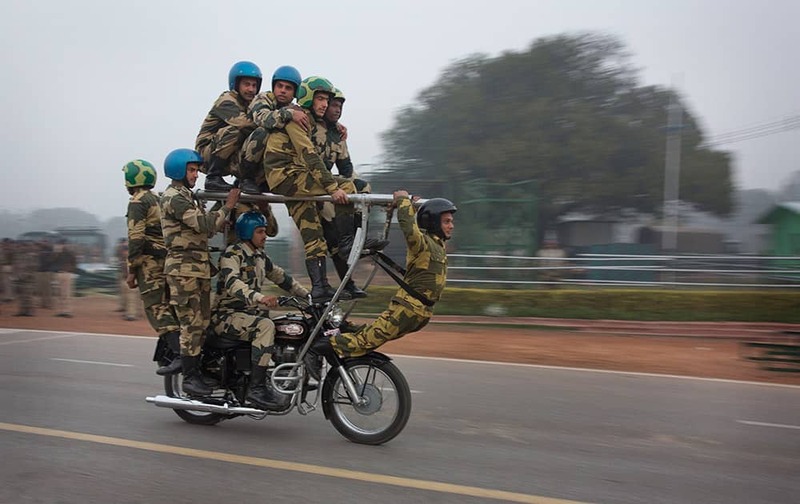 India's Border Security Force Daredevils team performs as they rehearse for the upcoming Republic Day parade in New Delhi. 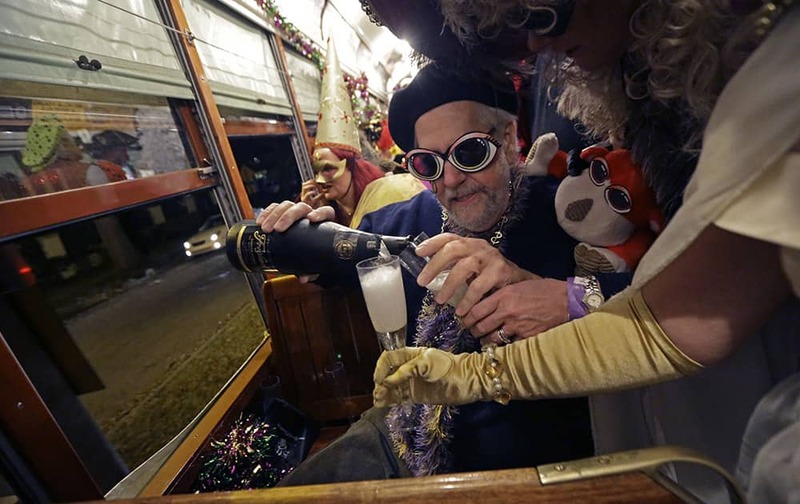 Members of the Phunny Phorty Phellows, pour champagne during their night of revelry aboard a streetcar in New Orleans. King's Day is a tradition marking the 12th night after Christmas and the official start of the Mardi season. A staff member from DJI Technology Co. demonstrates the remote flying with his Phantom 2 Vision+ drone inside his office in Shenzhen, south China's Guangdong province. 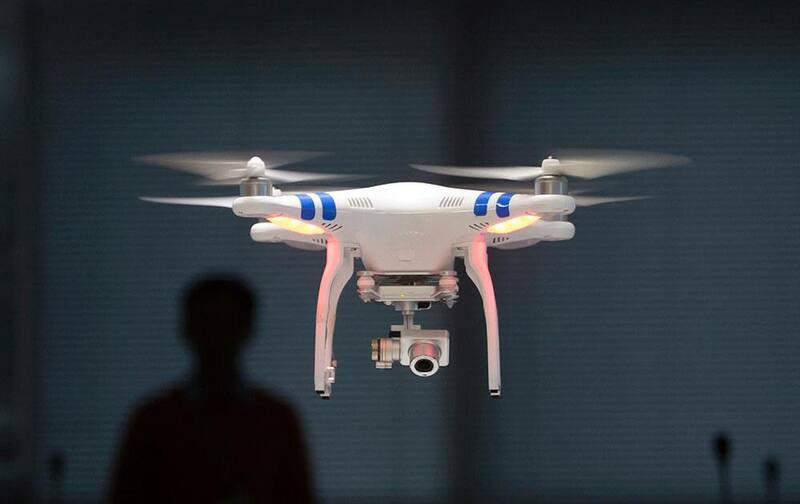 Founded in 2009 by an engineer with a childhood love of radio-controlled model planes, DJI has become the leading supplier in the fast-growing market for civilian drones - possibly the first Chinese brand to achieve No. 1 status in a global consumer product. Maria Sharapova of Russia gets up close with Sinnamon, a koala from Lone Pine Koala Sanctuary, in Brisbane, Australia. 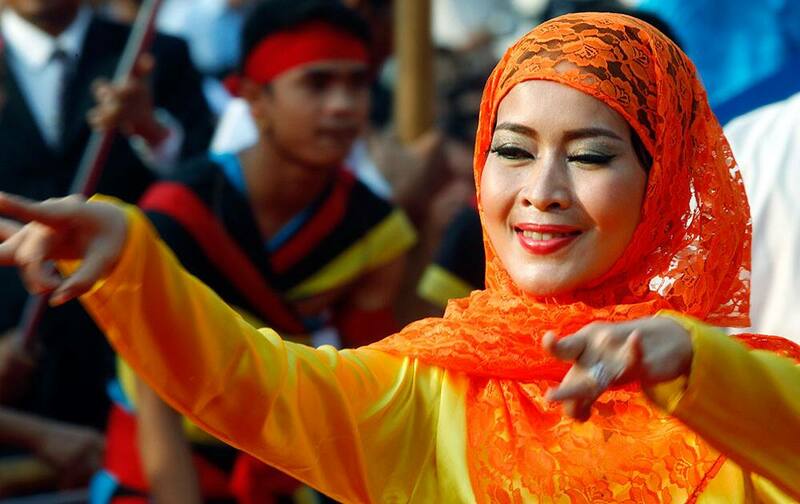 A Cambodian dancer performs during an event by the ruling Cambodian People's Party marking the 36th anniversary of the 1979 downfall of the Khmer Rouge regime, at their party headquarters in Phnom Penh, Cambodia. 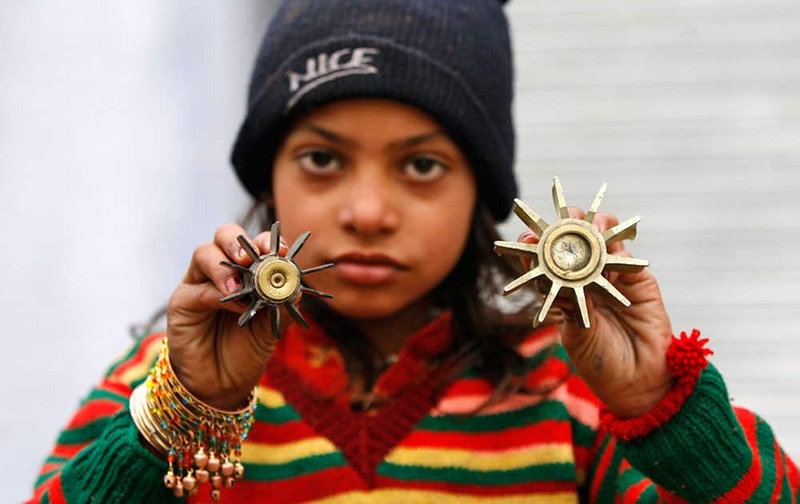 A girl displays a mortar shell allegedly fired from the Pakistan side of the border at Bainglad village in Samba sector, about 52 kilometers (32 miles) from Jammu, India. 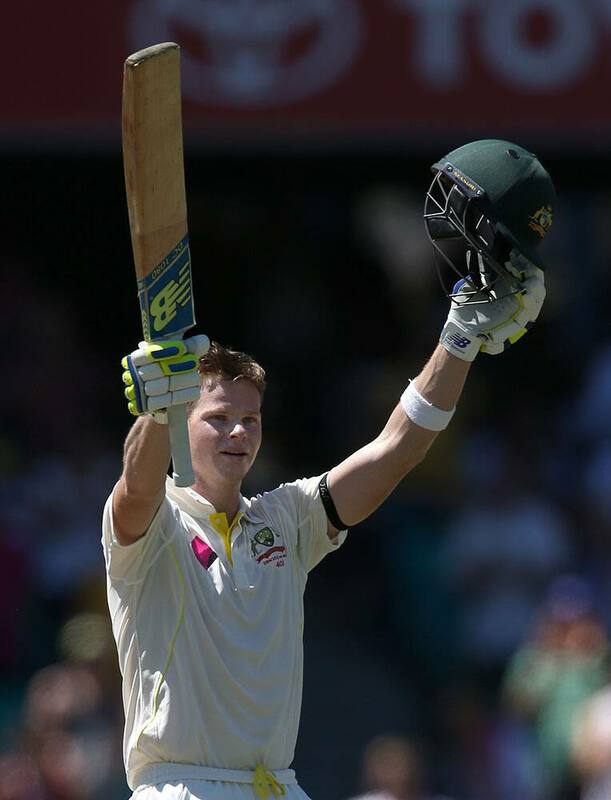 Australia's Steve Smith celebrates making 100 runs against India on the second day of their cricket test match in Sydney. 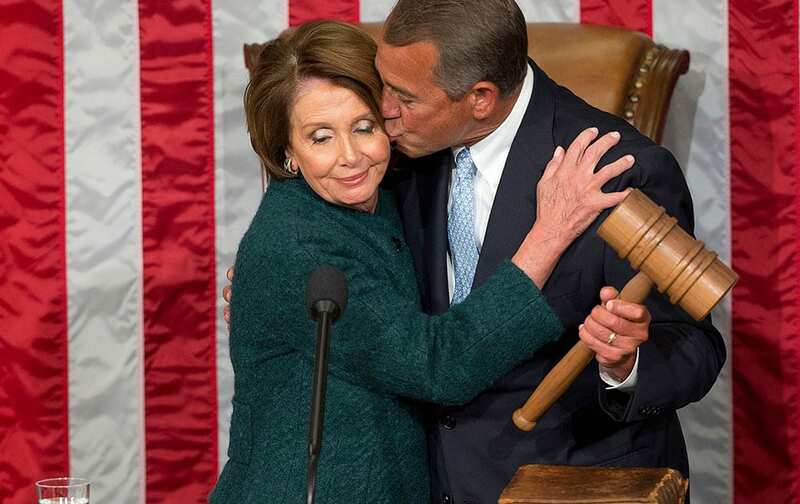 House Speaker John Boehner of Ohio, kisses House Minority Leader Nancy Pelosi of Calif. after being re-elected to a third term during the opening session of the 114th Congress, as Republicans assume full control for the first time in eight years on Capitol Hill in Washington. A model wearing robotic dress with proximity sensors pauses for photos at the Intel booth at the International CES, in Las Vegas. 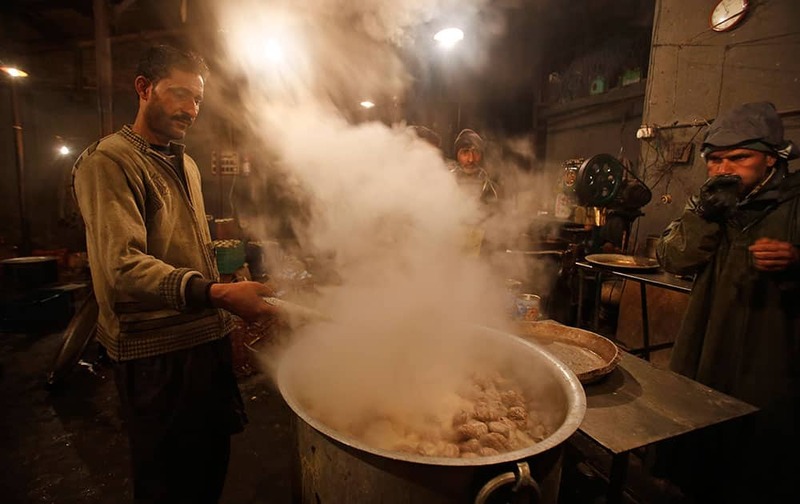 A Kashmiri prepares food, as another blows on his hand on a cold evening in Srinagar. Alla Kudryavtseva of Russia plays a shot in her match against Karolina Pliskova of the Czech Republic during the Brisbane International tennis tournament. 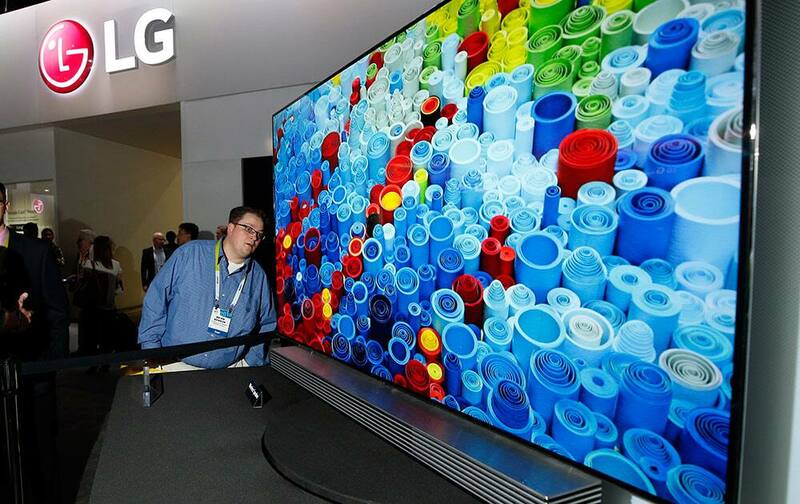 Brian Benson eyes the slim depth of the LG 65" 4K ULTRA HD OLED TV at the 2015 International CES in Las Vegas. 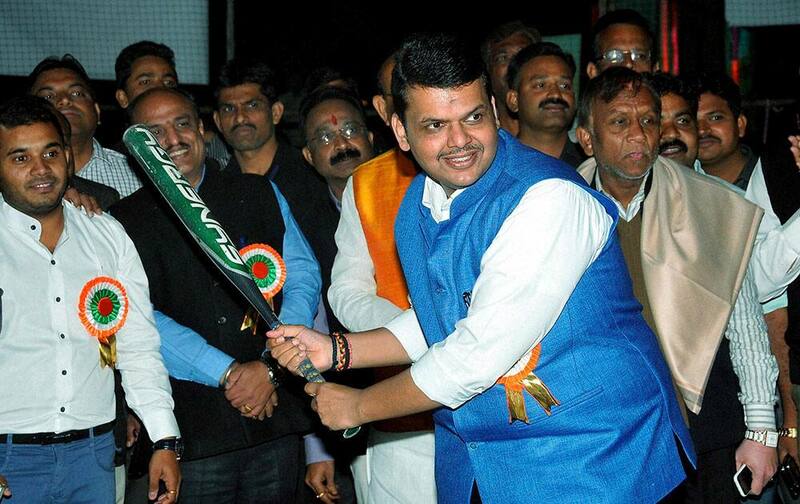 Maharashtra Chief Minister Devendra Fadnavis in action during the 36th National Softball Championship for Mens and Women in Nagpur. 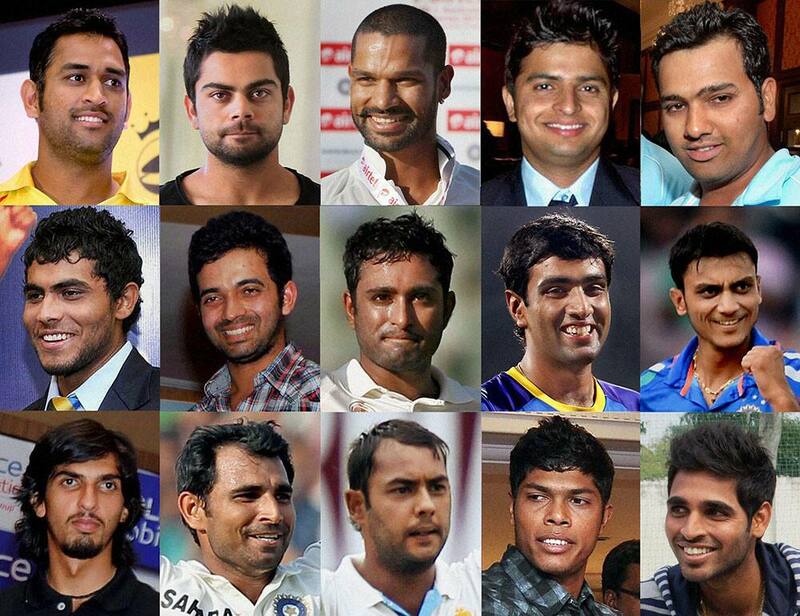 COMBO - The 15 member Indian Squad for the forthcoming Cricket World Cup 2015- (from left to right in top row)- Mahendra Singh Dhoni (Captain), Virat Kohli, Shikhar Dhawan, Suresh Raina and Rohit Sharma; Ravindra Jadeja, Ajinkya Rahane, Ambati Rayudu, R Ashwin and Akshar Patel; Ishant Sharma, Mohd Sami, Stuart Binny, Umesh Yadav and Bhuvneshwar Kumar. Happy Birthday Bipasha Basu !